The FASS RK-02 Pump Relocation Kit allows for your new DRP-02 pump to be placed further back, closer to the fuel tank. 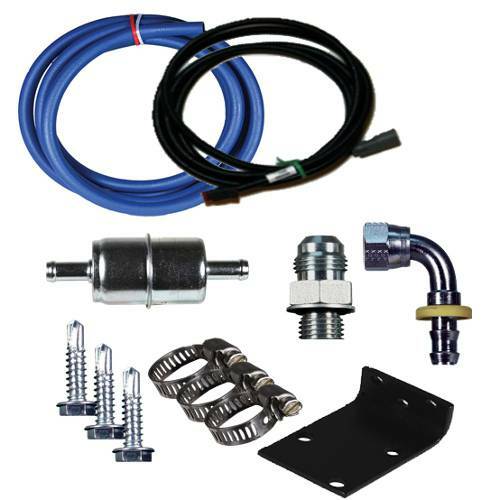 This will reduce the distance the lift pump needs to pull fuel from the tank while under vacuum and instead allows the pump to push the fuel under pressure to your Cummins engine. The number one reason the factory lift pumps fail is because all pumps function better when pushing under pressure, so the shorter distance between the pump and the fuel tank will aid the motor last longer.